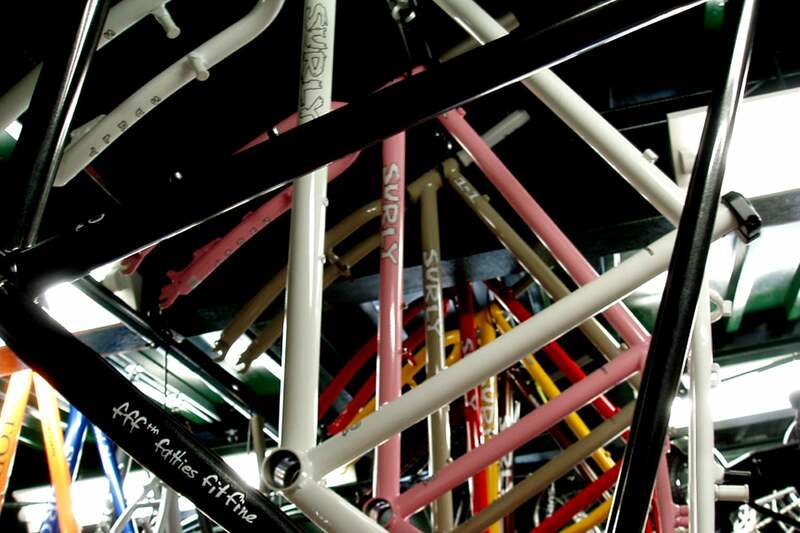 New and improved - that's what we're all about here at Surly HQ. We have some new versions of the current FAT BIKE tires that we do, so here's the skinny on the fat. Larry, Nate, and Big Fat Larry 120 tpi folding versions will have a new lighter, better, faster, squashy-er, sexier, space-agier casing option that cuts weight and makes for some better performance. Essentially, we made the whole casing (the inside guts) of the tire thinner without cutting down on the rubber bits. This will allow the tire to conform better to the earth at low pressures and allow people who ride them to be happier and more well adjusted as humans. The 27tpi versions of our tires will not have the new casing and will remain as they are. We'll have specific weights on all of them soon, but expect to lose about 100-200g from the current versions. For example, the 120tpi kevlar Big Fat Larry currently weighs in at 1340 grams. The new version with the lighter casing weighs about 1200 grams. They will cost a bit more because that's how this works. We don't have many of them, so if you'd like them let your retail shop person know and get them on the way. Other than that, wish the real Nate a happy 40th birthday this weekend. He's a tasty treat that you really should meet.